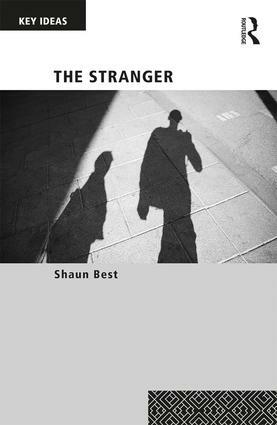 This book explores the concept of the stranger as a ‘modern’ social form, identifying the differing conceptions of strangerhood presented in the literature since the publication of Georg Simmel’s influential essay ‘The Stranger’, questioning the assumptions around what it means to be regarded as ‘strange’, and identifying the consequences of being labelled a stranger. Organised both chronologically and thematically, it begins with Simmel’s major essays on the stranger and culminates with an analysis of Zygmunt Bauman’s thought on the subject, with each chapter introducing an idea or key theme initially discussed by Simmel before discussing the development of the theme in the work of others, including Schütz, Derrida, and Levinas. The stranger is an enduring concept across many disciplines and is central to contemporary debates about refugees, asylum, the nature of inclusion, exclusion and the struggle for recognition. As such, this book will be of interest to scholars across the social sciences. Shaun Best is a senior lecturer in the School of Education and Liberal Arts at the University of Winchester,UK. His teaching is in the field of social inclusion and exclusion, and he publishes regularly in national and international journals. He has a portfolio of innovative publications including Research Methods: Understanding and Doing Successful Social Research and Understanding Social Divisions.